Posted on 1, February 2019 by EuropaWire PR Editors | This entry was posted in Art & Culture, Automotive, Entertainment, News, Society, United Kingdom and tagged "Mille Miglia", 13th Annual Boca Concours d’Elegance, 1919 Olympia Motor Show, 24 Hours of Le Mans, 44th Salon Rétromobile, Benjafield Racing Club, Bentley, Bentley Centenary, Bentley Continental GT Convertible, Bentley Drivers Club Centenary Extraordinary Drive, Bentley EXP 1, Bentley EXP 2, Bentley EXP 3, Frank Clement, Rétromobile, RROC National Meeting, W.O. Bentley, W.O. Bonhams exhibition, Walter Owen (W.O.) Bentley. Bookmark the permalink. CREWE, 1-Feb-2019 — /EuropaWire/ — In 2019, Bentley enters its Centenary year. The 10th of July 2019 marks Bentley’s 100th year and this extraordinary milestone – reached by only a special few companies – will be a cause for celebration of the company’s history, its global success today and its exciting future. 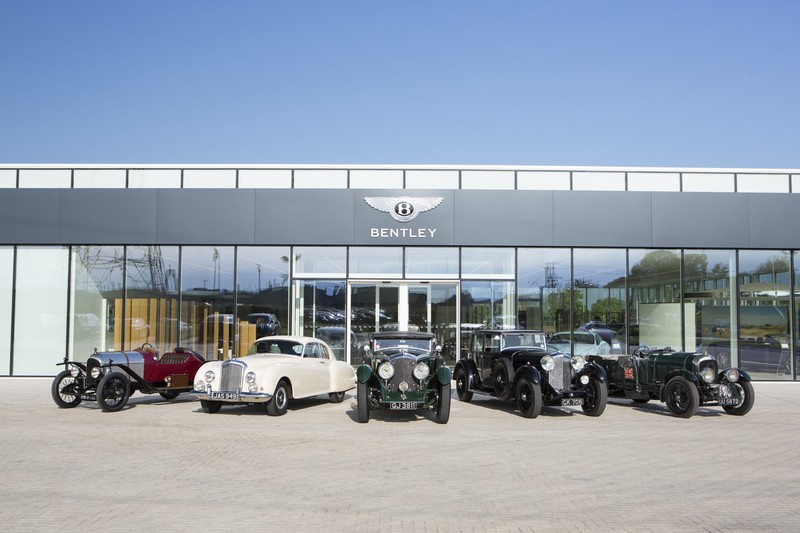 For the occasion Bentley is organising a series of classic and heritage events through out the year to mark its 100th anniversary. The year begins with a VIP event: the oldest remaining and first racing model – EXP 2 – will be shown at Retromobile, between 6-10 February at Salon des Expositions, Porte de Versailles. Bentley’s stand in Paris will offer visitors a unique opportunity to explore the heritage and the innovation of the British luxury car manufacturer. The historic EXP 2 will be accompanied by the all-new Continental GT Convertible at the Retromobile show in Porte de Versailles. The two models, separated by 100 years of automotive evolution, share fundamental Bentley characteristics: both are genuine Grand Tourers; both offer sector-defining levels of performance; and both feature innovative technology at their core. In 2019, Retromobile celebrates its 44th anniversary and is expecting well over 120,000 visitors to attend from all over the world. Bentley EXP 2 is actually the oldest Bentley in existence, which debuted at the 1919 Olympia Motor Show. The EXP 2 is a landmark car in the Bentley’s 100-year history.